Joining them, will be a group of women from Paisley’s Ferguslie Park who have been taking part in the 100 Years 100 Banners programme, where 100 organisations across the UK collaborate with 100 female artists to create 100 unique banners for PROCESSIONS. 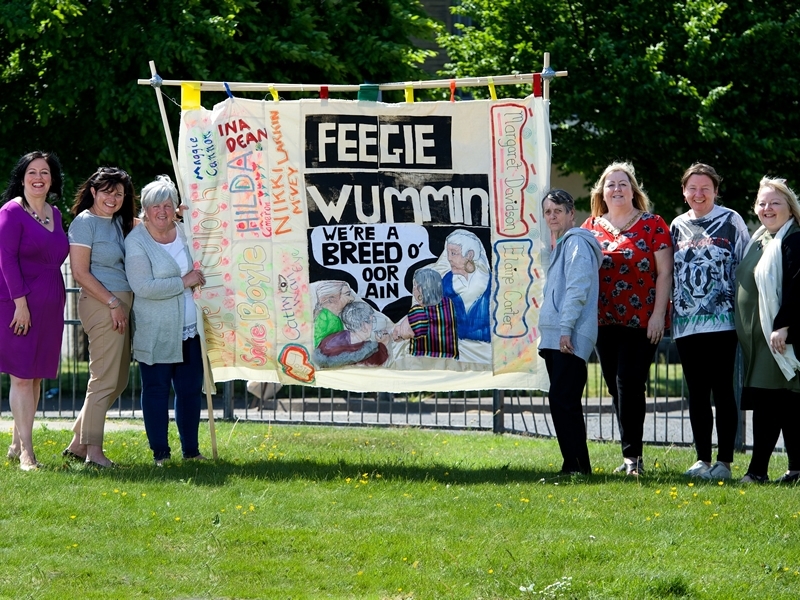 For local artist Mandy McIntosh, the banner, featuring the slogan ‘Feegie Wummin’, we’re a breed o oor ain’, celebrates the resilience and strength of Ferguslie women in the here and now. Helen Marriage, CEO Artichoke said: “The 100th anniversary of the passing of legislation which made universal suffrage unstoppable is a moment both for celebration and reflection. 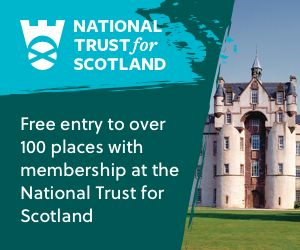 Individuals and groups up and down the country, including The Tannahill Centre, will be at the heart of this UK-wide artwork. Renfrewshire’s Provost Lorraine Cameron said: “I’m so pleased to see the women from Ferguslie coming together to make their banner and take part in PROCESSIONS. “The banner truly tells the story of their community and you really get a sense of how proud the group are to come from Ferguslie Park, and so they should be. “Recently, the Ferguslie community has come together to make changes to their environment, and it is having a very positive effect on the people who live there.